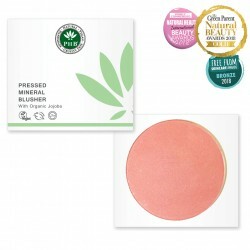 Say hello to a radiant glow with our 100% natural mineral blushers. With a soft and silky texture and buildable colours that compliment all skin tones. Available in matte & shimmer shades. Our Mineral Makeup will revolutionise your perception of makeup. Don't compromise with synthetic colours and chemicals- enhance your natural beauty with PHB's 100% natural Mineral Cosmetics. Handmade using high performance minerals that are actually good for your skin. Provides buildable coverage. Suitable for even the most problematic skin. Looks and feels completely natural. Enhance your natural beauty whilst nourishing & protecting skin.